Grew up… behind the Walls, which protect humanity from man-eating giants called Titans. As a child, Armin was frequently picked on—and when his friend Eren tried to stop it, he just got beaten up too. Their friend Mikasa saved them both, usually. It was Armin who found a forbidden book describing the outside world, which inspired the kids to try and see the outside, especially things like “oceans”. Living… in the trainee’s barracks in the military. Before that, Armin, Eren, and Mikasa were all refugees, having fled their childhood homes after Titans broke through the Wall and devastated the village. Eren made it his goal to join the military and fight back against the Titans, so Armin and Mikasa joined too. Profession… new member of the Survey Corp. The Survey Corp is the only branch of the military that ventures beyond the Walls, trying to learn more about Titans and how to win the war against them. Armin is frankly awful at combat, but he was so good at strategy and planning that they let him in anyway. Interests… reading, learning more about the outside world. Armin’s pretty bookish, but he thinks that research and knowledge will be the keys to defeating the Titans at last. Relationship Status… single. Humanity’s last days are probably at hand; it’s not a great environment for a date. Challenge… surviving – and if he can survive, finding a way to end this war decisively. The Titans’ overwhelming strength and mindless hunger have eroded humanity’s resources year after year, and the situation is getting desperate. 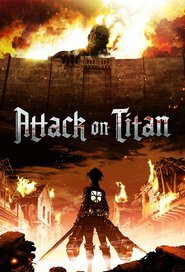 Armin and the rest of the Survey Corps must find a way to save the entire human race against seemingly undefeatable monsters. Personality… nervous, brilliant, and loyal. Armin has a reputation for being a coward, and it’s true that he’s no good at fighting. But he is passionate about the battle, able to rally the troops to his cause or convince superior officers that his plan is the best. His keen strategic mind might just be what saves humanity after all, even if he believes he’s useless. Whatever the outcome, you can bet he’ll be right beside Eren and Mikasa the whole time. Armin Arlert's popularity ranking on CharacTour is #231 out of 5,000+ characters. See our top-ranked characters and read their profiles.